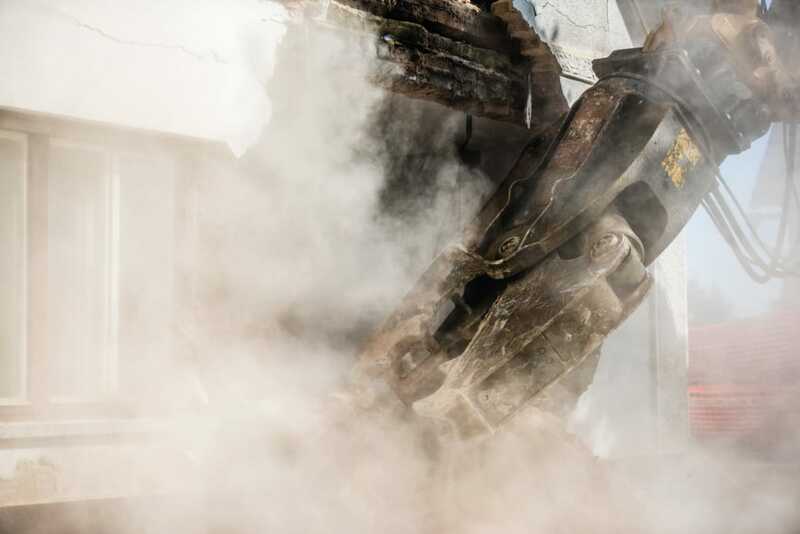 Grinding, cutting and crushing processes, as well as dust, fumes, mists and vapours all have one chemical hazard in common: inhalation of a substance that can cause adverse health effects to the human body. In occupational health, the target organ that one needs to be concerned about when doing a health risk assessment on these processes would be the lungs, and depending on the chemical properties, also the skin. The principal function of the lungs is to supply the body with oxygen and remove carbon dioxide. To obtain oxygen, one must first breathe the oxygen into the lungs. Across the body cavity, below the lungs is the diaphragm. When the diaphragm moves downwards it makes a partial vacuum in the lungs. The pressure of the air outside the body is now greater than the pressure inside the lungs and air is pushed into the nose, down the wind pipe (called the trachea) where it splits into two bronchis: one entering the left lung and one entering the right lung. The bronchus further splits into bronchial tubes that divide many times inside each lung until the smallest branches end bluntly in the alveoli. The alveoli are the part of the lung where the gas exchange occurs. These tiny air sacs consist of very thin permeable membranes that are surrounded by blood vessels. There are 200 – 600 million alveoli in a fully developed adult lung (which would cover the area of a tennis court the size of 79m²) where diffusion can take place. Oxygen passes from the alveoli through the blood vessels into the bloodstream where it is transported by the red blood cells to the rest of the body. The cells of the body then use the oxygen to oxidise fuel for vital energy. One of the by-products of this oxidising process is carbon dioxide. As oxygen is taken up by tissues, carbon dioxide is given off and returned to the lungs by the red blood cells. The carbon dioxide follows the reverse path of oxygen, passing through the walls of the lung capillaries into the lungs. When the diaphragm relaxes, the ribs move downwards, compressing the lungs and forcing the carbon dioxide out of the lungs. Respiration is not a voluntary process. A person can voluntary hold his breath for a period, but the respiratory centre in the brain will ignore other messages from the body to continue the breathing process. The breathing process in the respiratory centre of the brain is triggered by an increase in the amount of carbon dioxide in the blood forcing a person to start breathing again. Different regions of the respiratory tract protect the lungs from dust exposure. Airborne particles enter the nose, but, as the nose is an efficient filter, large dust particles are trapped by the cells in the nose and mechanically removed by blowing the nose or sneezing. Unfortunately, smaller particles pass through the nose and reach the bronchus, taking the dust through the trachea and bronchus into the lungs. The bronchi splits into bronchioles. Note that all these pipes are lined with cells that produce mucus. Dust entering the pipe system is trapped by the mucus and tiny hair-like cells, called cilia, which then work the dust upward and out of the respiratory system into the throat, where it is either spat out when coughed up or swallowed. Should any dust particles reach the deep, inner parts of the lungs where the tiny alveoli receive oxygen and release carbon dioxide, there are no cilia to protect the alveoli from the dust. Luckily, the alveoli are protected by scavenger cells called macrophages. The macrophages play an important key role in the lungs as they keep the alveoli clean by virtually swallowing the particles – exactly like in the old time favourite Packman game, eating up the enemy. The macrophages then reach the airways that are covered in cilia and the wavelike motion of the cilia removes the macrophages (which contain dust) to the throat where they are excreted again. Another system of removing dust from the lungs is the presence of proteins that remove germ-bearing particles. These proteins attach to the germ-bearing particles and neutralise the germs. Dust particles that are small enough to stay airborne may be inhaled; however, the probability of inhalation depends on the particle's aerodynamic diameter, the air movement around the person and the breathing rate of the person. The hair cells in the nose and the mucus membranes in the tracheobronchial airway region may clear the dust particles and prevent them from entering the lungs. “the probability of inhalation of dust particles depends on the particle's aerodynamic diameter, the air movement and the breathing rate of the person"
Smaller particles of less than 10 microns in size, however, may enter the deeper parts of the lungs and penetrate the alveolar region. And it is with this particle size that occupational health practitioners are concerned if it is not exhaled again. Fibres behave differently from other dust particles in their penetration into the lungs; fine fibres of up to 100 microns have been found in the lungs of people. It is the diameter of the fibre, and not its length, which governs its ability to penetrate the lung. When dust particles are deposited in the body, they have the potential to cause harm within the body. The longer the particles remain inside the body the greater the potential to cause harm. That is why the respirable fraction of dust poses the greatest hazard to cause possible airway disease. This includes crystalline silica, coal dust, metal fumes and many others. Free silica can occur in three crystalline forms, i.e. quartz, tridymite and cristobalite. Quartz is the most common as it occurs in rocks such as granite, sandstone, flint, certain coals, metallic ores and many others. The toxicity of the effect of dust in the lungs depends on the nature of the dust particulates i.e. if the dust is fibrogenic or non-fibrogenic. Fibrogenic dust is the dust that reduces the scavenger cells (the cells that “eat up the dust”) in the lungs resulting in the replacement of active lung tissue by inactive dead cells. Fibrogenic dust is therefore biologically active and reduces the lung volume or capacity. This is tested by the medical staff when they do the lung function test. Examples of fibrogenic dust are free crystalline silica and asbestos dust. Non-fibrogenic dust is an inert dust which has very little or even no effect on the lung tissues and are thus biologically inactive. It is also called nuisance dust and contains less than 1% quartz. Nonfibrogenic dust can accumulate in the lungs as the little scavenger cells cannot eat up the dust quickly enough if the exposure rate is too high. When the dust exposure is so high that that the scavenger cells cannot do their work properly, and the dust starts to accumulate in the lung it causes a dusty lung called pneumoconiosis. The lung changes in pneumoconiosis range from simple dust deposition such as iron dust that can be seen on an x-ray but with no clinical manifestations; to conditions with impairment in lung function (exposure to flax dust or cotton dust); to the more serious fibrotic lung disease such as silicosis caused by free crystalline silica dust. 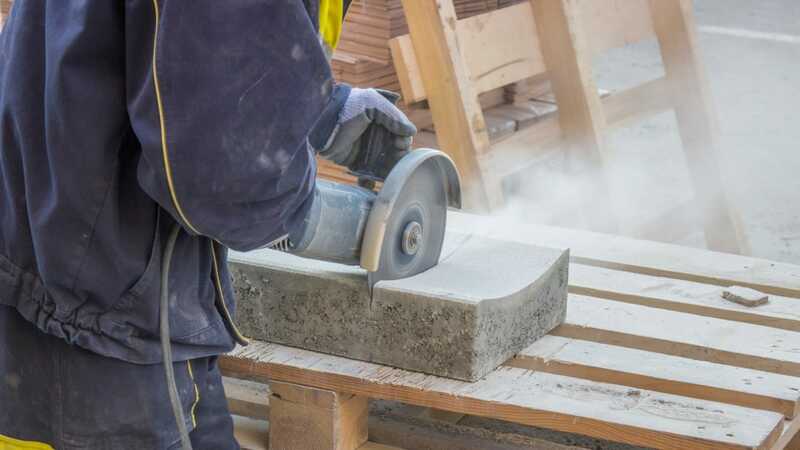 Pneumoconiosis that is caused by crystalline silica dust is called silicosis. Another example of pneumoconiosis is the coal workers’ pneumoconiosis that is caused by coal dust exposure. Respirable dust is the fraction of airborne particulates that are between 0.1 and 5 microns in size that can enter the gaseous exchange region, i.e. the alveoli of the lungs. Respirable dust is responsible for the development of any form of pneumoconiosis (a dusty lung). When metals are heated up to temperatures above their melting points metal fumes are produced. 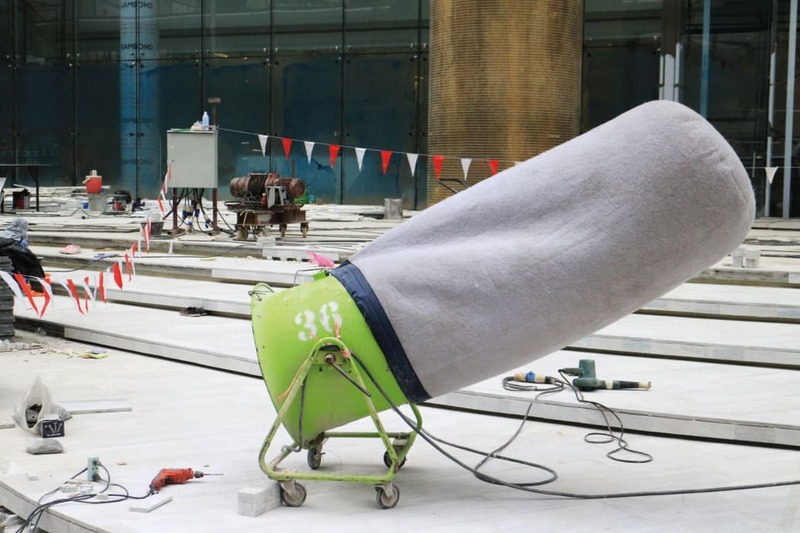 A fume is 0.1 – 1 micron in size thus making it a respirable fraction. Many types of metal fumes can cause cancer like nickel and chromium and others can cause systemic poisoning like manganese and cadmium. Inhalation of metal fumes can also cause a condition called metal fume fever. 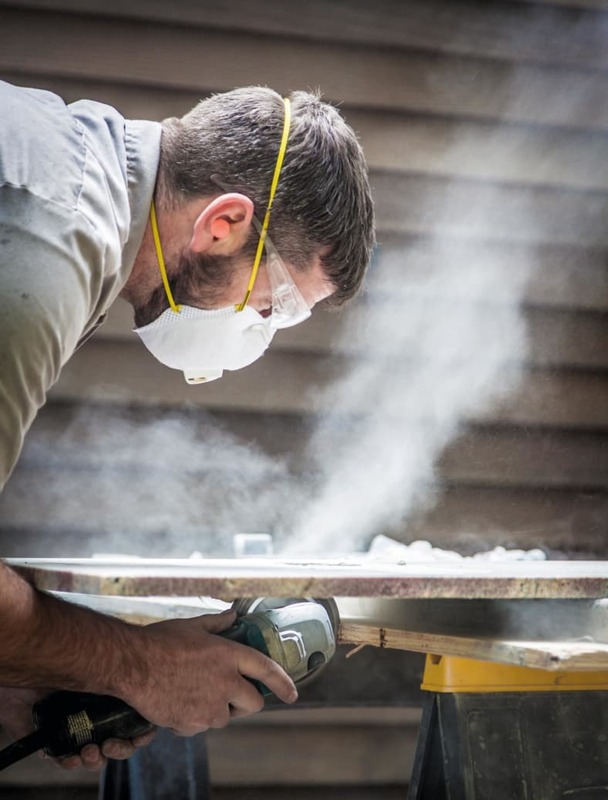 Many dusts like silica, asbestos, wood dust and nickel-bearing dusts may cause lung cancer. Furthermore, there is a strong synergistic effect between cigarette smoking and certain airborne dusts like asbestos dust, which increases the potential risk for lung cancer enormously. Dusts are generated during cutting, grinding, crushing, rapid impact and cracking through heat exposure of organic or inorganic substances such as rock, ore, coal, wood or metal. The particles that are generated by these processes may be so small and they collide with air molecules that they do not always move in the expected direction, i.e. downwards. Factors like air density and viscosity as well as the aerodynamic size and speed of this airborne dust particle all play a role in the time that this dust particle will take to settle on the ground or stay airborne. A dust particle underground in a mine in still air, for instance, can take 10 hours to settle compared to visible road dust that can settle in about five seconds. Examples of inorganic dusts are silica, asbestos, and coal. Organic dusts originate from plants or animals. Grain dust is an example of organic dust. One needs to keep in mind that organic dust can contain several other hazardous substances, for example fungi, microbes and the toxic substances given off by microbes. Dust can also come from dyes, pesticides and other organic chemicals. One needs to keep in mind which will be the target organ as not all dust will cause fibrosis or allergic reactions to the lungs. Chemical dusts may cause other acute toxic effects like cancer. Fumes are solid particles generated by condensation from the gaseous state (like when cold metals are heated up during the welding process, generating welding fumes) generally after volatilisation from molten metals (or at a furnace area). 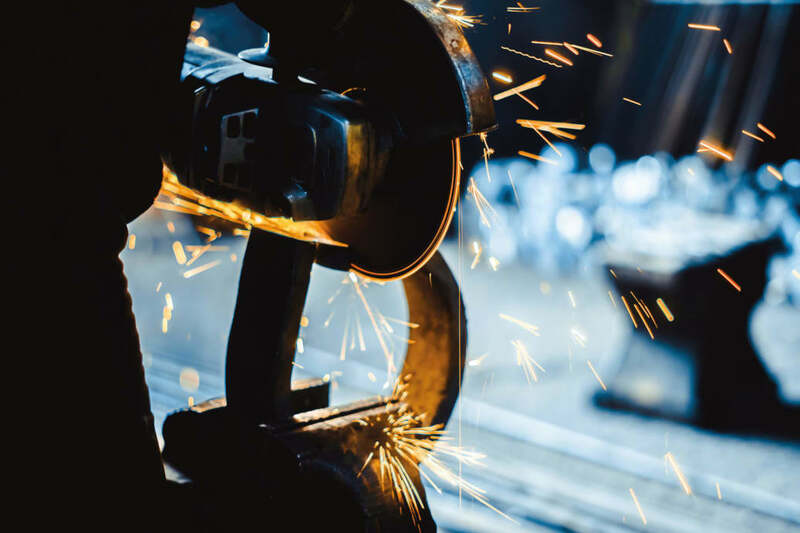 When metals are involved (furnace or welding) the process is often interlinked with a process of oxidation, meaning that the metallic fumes present in the air are partly in the form of an oxide. Mist can be formed during spraying operations. Mists consist of small liquid droplets that are generated by condensation from the gaseous state or even by the breaking-up of a liquid into a dispersed (sprinkling / spraying) state. Gases completely fill the containers in which they are kept and are formless, diffusing liquids and can only be transformed to the liquid state by the combined effect of increased pressure and decreased temperature. Vapours will diffuse in the air or when exposed to any other gas. A vapour is the gaseous phase of a substance that, under ordinary conditions, exists as a liquid or a solid and which can be transformed to the liquid phase either by increasing the pressure or decreasing the temperature alone. For example, water vapour is responsible for humidity. Perfume contains chemicals that vaporise at different temperatures. Matter describes anything that has weight. All matter can be separated into three divisions: solid, liquid and gas. Whether matter will appear in a solid, liquid or gaseous phase will depend on a combination of temperature, pressure and volume. The most familiar example of liquid is water. But water can also exist as solid ice, liquid water or a gaseous water vapour. A gas may be a completely elastic fluid, which does not become a liquid or a solid at ordinary temperatures. Gases do not have any specific shape, but instead take on the shape of the container. Gas is also compressible and exacts a pressure on the walls of the container which is expressed in Kilo Pascals. 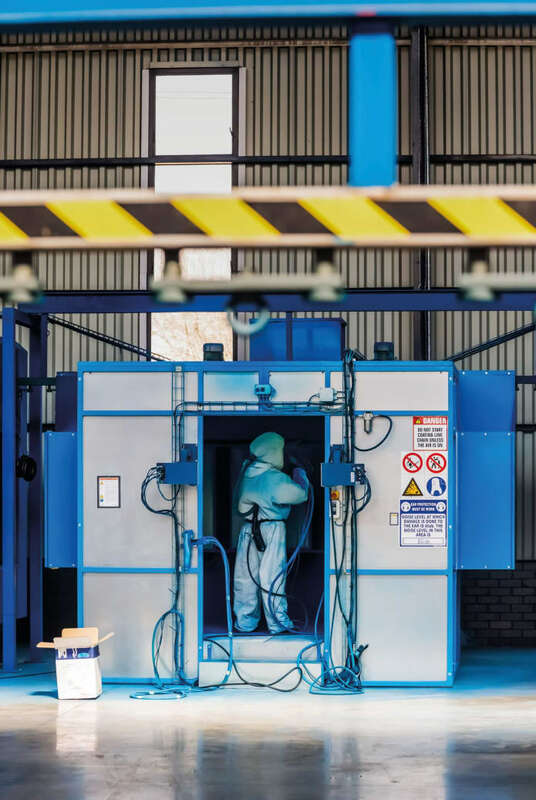 People must be prevented from breathing in gases by following safety instructions and confined space entry instructions of working areas where gasses are used or can form as a by-product of the production process. Employees working in such areas must also be trained in recue procedures and first aid procedures. As detailed below, gasses can be grouped into four categories: irritant, simple asphyxiant, chemical asphyxiant, and anaesthetics and narcotics. Examples are ammonia, nitrogen dioxide, chlorine, fluorine and so on. They are irrespirable to a considerable extent and many cause immediate irritation when they react with body tissue, resulting in coughing and sneezing. Examples are helium, nitrogen, hydrogen, acetylene, argon and carbon dioxide. These gasses are physiologically inert and do not react with body tissue. Simple asphyxiants act principally by dilution of the atmospheric oxygen below the percentage required to maintain the oxygen saturation of the blood that is sufficient for normal respiration. Where the concentration of oxygen inhaled in air falls below the normal level of 20%, up to 95% of symptoms of oxygen deprivation may be expected in a person. A person can tolerate oxygen concentrations up to 18%; below 16% distress occurs, below 11% a person becomes unconscious, and breathing stops at oxygen concentrations below 6%. Note that the carbon dioxide in the blood will remain constant, giving the brain no warning that the body is receiving less oxygen than required, therefore overcoming the victim suddenly without any warning. Examples are hydrogen sulphide, hydrogen cyanide and carbon monoxide. These chemicals do not cause a lack of oxygen by excluding oxygen from the lungs, but prevent the blood from transporting oxygen from the lungs to the body tissues. They can also prevent normal oxygenation of tissues even though the blood is well oxygenated. These three noxious gasses combine with iron in the cells of the blood and / or body thereby inhibiting cell respiration. They act promptly even if only present in tiny amounts in the air. Ethers, esters and acetylene hydrocarbons exert their principal action as simple anaesthesia, without serious bodily harm. These chemicals have a depressant action on the central nervous system which is regulated by their concentration in the brain. The employer shall ensure that the worker is protected from breathing in harmful dust through implementing hierarchies of control. The first consideration should always be to substitute the hazardous substance with a non-hazardous substance. If not possible, engineering methods should be considered, for example wet process to refrain dust from becoming airborne, extraction ventilation at the generation point, etc. Respiratory protection should be selected according to the hazard. Employees should be sent for medical surveillance according to the recommendations of the Occupational Medical Practitioner.